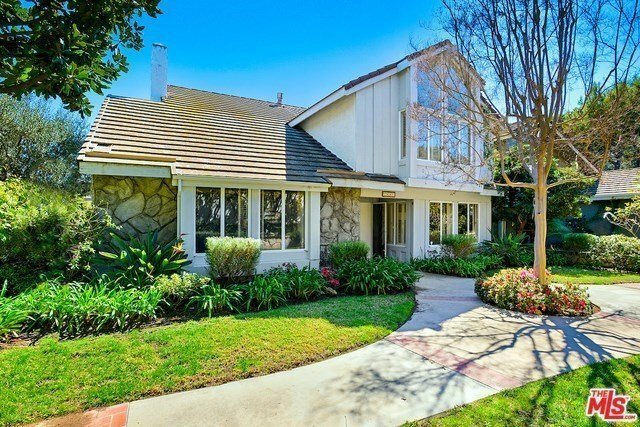 This wonderful Palisades Highlands 2-story home is located on a peaceful cul-de-sac street. Enter thru the double front doors to the large living room, formal dining room, sunken conversation area with fireplace & bar, powder room and the spacious and bright family room which opens to the patio area. The kitchen with granite counters and stainless appliances has both a breakfast area and breakfast bar. The spiral staircase leads upstairs to the 4 bedrooms which includes the master suite with vaulted ceilings and walk-in closet. The home features resort style living and has easy access to the beautiful Santa Ynez Recreation Center with sparkling pool, spa, gym, playground and lighted tennis courts. You'll have easy access to all the Palisades has to offer including hiking, biking, the beach, restaurants, shopping and the new Village Center.